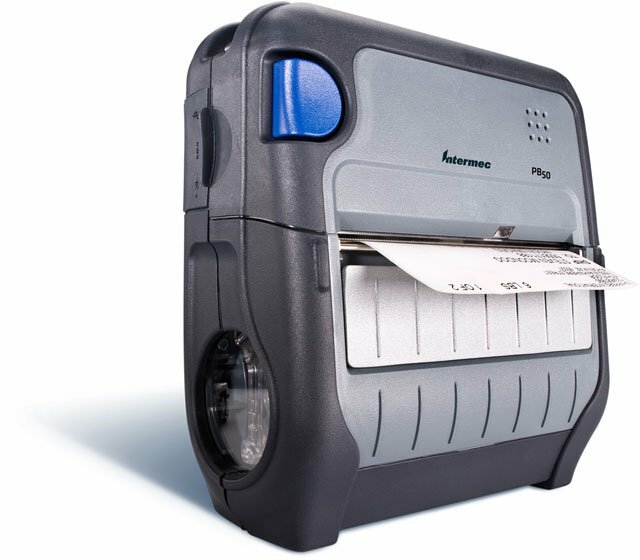 Intermec has introduced its first wireless mobile label printer, PB50 that allows users to print labels, tags or receipts wherever and whenever they require via Bluetooth and the wireless local area network (WLAN) connectivity. 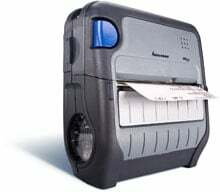 This new product works perfectly with Bluetooth-enabled Intermec wireless mobile computers such as CK31, CK61 and CV30 vehicle mount computer, along with the CN3 and 700 series. 3" x 1" Direct thermal paper label. 640 labels/roll, 25 roll case. 4" x 2" Direct thermal paper label. 16 roll case. Also available as a roll (Part# E21079-R). The Intermec PB50B21804100 is also known as Intermec Technologies	INT-PB50B01	.